The Palms station is located at the intersection of National and Palms Boulevards adjacent to the I-10 freeway, and has the largest residential population of the project stations at roughly 32,000. 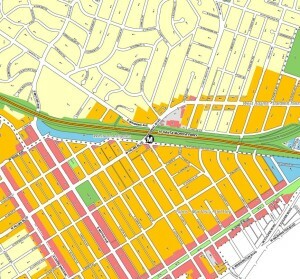 The neighborhood to the south of the station is largely multi-family residential with commercial and light industrial businesses along National Boulevard, and retail and office uses along Motor Avenue. Motor Avenue is also home to a large concentration of public facilities and neighborhood-serving amenities including Palms Elementary School, Magnolia Science Academy, the U.S. Post Office, Fire Station 43, numerous restaurants, and a weekly farmers’ market held every Sunday at the corner of Motor Avenue and National Boulevard. The Palms transit neighborhood contains a total of approximately 7,300 jobs*–roughly 15 jobs per acre. 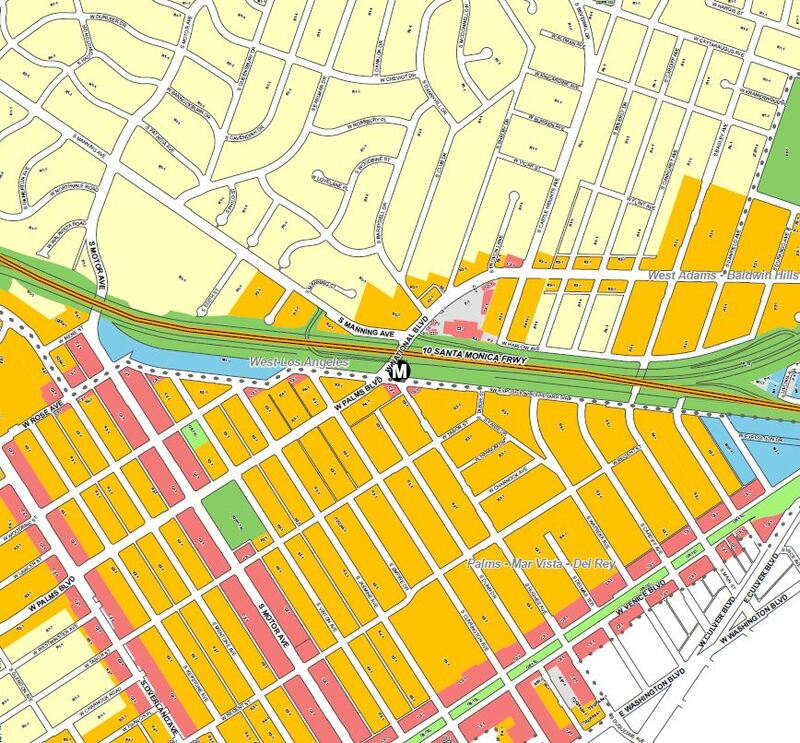 The station area is located within both the West Los Angeles Community Plan and Palms-Mar Vista-Del Rey Community Plan and is part of the West Los Angeles Transportation Improvement and Mitigation Specific Plan. *The jobs data shown here is taken from the US Census 2010 and represents census tracts that are within a half-mile of the transit station. 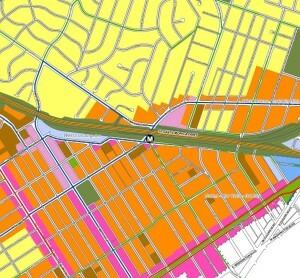 This data includes areas outside of the City of Los Angeles and does not reflect the exact boundaries of the Exposition Corridor Transit Neighborhood Plan area. © 2019 Los Angeles Transit Neighborhood Plans. All rights reserved.